A little over a century ago, Oklahoma City was a grass and timber land of gently rolling hills flattening out into prairie. Today, it sprawls across 625 square miles of America's heartland and a population of over a million. 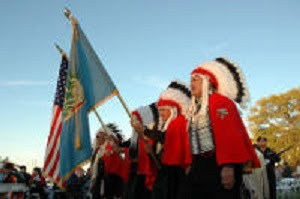 During the 1800s, the U.S. government forcibly relocated Indian tribes from all over the country into the area known as Oklahoma Territory. 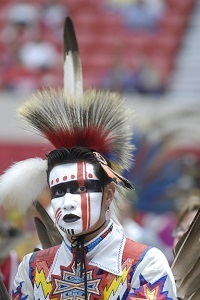 There was one parcel of land that was never given over to any tribe. The Unassigned Lands in the 1880s, many frontier Americans wanted to move into this land; landless pioneers began slipping over into this area without authorization. The Boomers were trying to force the government into opening the territory up to homesteaders. In 1889, President Benjamin Harrison signed legislation that opened-up the Unassigned Lands and about 50,000 homesteaders gathered at the boundaries with some people, known as the Sooners, sneaking over at night to stake out prime land. At noon, the cannon roared, and the hordes of people streamed over the line on wagons and buckboards, horseback, on foot and even on bicycles. Soon, nearly 10,000 people had staked out claims near the Oklahoma Station and what today is Oklahoma City. Statehood came for Oklahoma in 1907. Oklahoma City was a center of commerce, attracting a number of packing plants in was then known as Packing Town. In 1910, the state capitol moved from Guthrie to Oklahoma City with the Lee-Huckins hotel as temporary capitol building. The new state capitol was dedicated in 1917. Oil Discovery in 1928, oil was discovered, creating the city's most important financial resource and making Oklahoma City the world's newest boom town. Oil continues to be one the most important players in the city's economy. Historic Districts Oklahoma City's unique past and bright future can be experienced through its many distinct districts. Check out what to eat, enjoy and experience in each eclectic district. 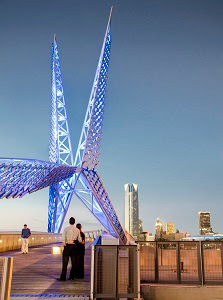 Adventure family-friendly adventures when visiting Oklahoma City. Asian an influx of Vietnamese immigrants in the 1970s transformed the area surrounding Northwest 23rd Street and Classen Boulevard into a vibrant enclave of Asian culture. Automobile Alley is just north of downtown in what used to be the primary location for the city's car dealerships; now it is home to some of OKC's best local dining, specialty shops and more. 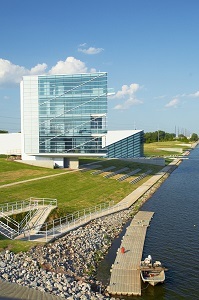 Boathouse whether you want to train like an Olympian or just burn off some energy, the Boathouse District along the Oklahoma River is a hotspot for outdoor recreation. 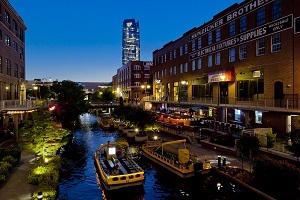 Bricktown once a busy warehouse area, now it’s the city’s hottest entertainment and dining district. 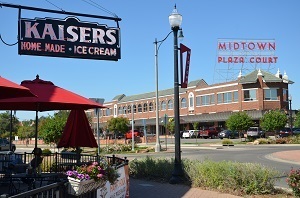 The Classen Curve district in northwest Oklahoma City is the place to dine, shop and play. Film Row the city's preserved film distribution district has been reborn as a creative hub on the western edge of downtown. Midtown's mix of local restaurants, neighborhood pubs, unique shops and historic homes make it a great place to experience the best of OKC's recent urban renaissance. The Paseo Arts district is known for its eclectic art galleries (many attached to working artists' studios) and shops, as well as its cuisine and nightlife. Plaza is trendy, gritty and a lot of fun. If you're the sort that likes to check out the hip and happening, you'll find it in the Plaza District. Stockyard City is home to shops specializing in all things western; here, you can outfit an entire ranch or just find a new pair of boots and enjoy a great steak in Stockyard City. Uptown is home to one of the latest neighborhood revitalizations in OKC. Anchored by the historic Tower Theater, you'll find great locally-owned restaurants and bars, as well as fun boutiques. 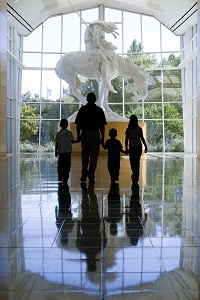 National Cowboy & Western Heritage features one of the most comprehensive collections of Western art in the world, the museum depicts the rugged spirit and rich influences of cowboy culture. Oklahoma City National Memorial pays tribute to those who were killed, those who survived and those changed forever by the April 19, 1995 bombing of the Alfred P. Murrah Federal Building in downtown Oklahoma City. Entertainment and Dining District stroll along the mile-long Bricktown Canal or cruise on a Water Taxi and enjoy a narrated tour of the district. The Oklahoma History Center is home to over 2,000 artifacts that tell the stories of Oklahoma and its people, the center features a new special exhibit each year.